Gorgeous double flowers--frilly cut petals of burgundy to almost black. Just stunning. 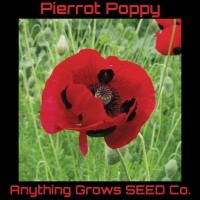 (approx 600 seeds/pk) .. These very symbolic WWI flowers are the common field poppies of Europe. Brilliant crimson, single red blooms with black centres that are long blooming and very pretty in garden. 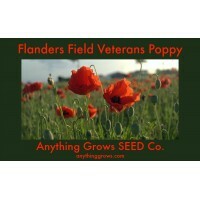 These poppies have naturalized throughout much of North America. Plants grow to 45 cm (18") tall in the garden. ..
Large 10 cm (4") wide flowers with wavy and fringed petals form in a multiple of colours atop fine bright green fern-like foliage on plants growing to 45 cm (18") in height. Strong stems withstand harsh wind and rain for a long lasting show. Self sows if happy but will not be invasive. Flowers best in full sun. Remove faded blossoms to prolong blooming through the summer. Best established in well drained soils. 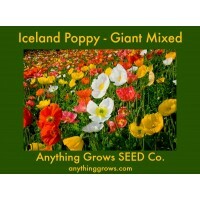 Saskatchewan gardeners tell us they find Iceland Poppy likes life on ..
(Papaver spp.) 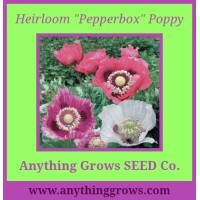 Growing these old-fashioned poppies offers triple rewards: glorious flowers, handsome pods and nutty-tasting seeds from the same ornamental plants. Gray-green Pepperbox plants send up nodding stems of large papery-textured purple, red and pale pink blossoms, all with dark center blotches. 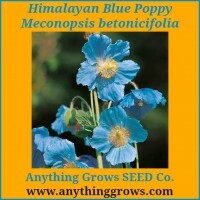 After the petals drop, their big pods swell as the blue-black seeds mature to harvest when dry for baking. Or keep the pods for beautiful decorations. Approx. 1000 seeds/pack. Mature height 3-4 .. Striking, intensely red blooms with jet-black markings float above airy foliage. 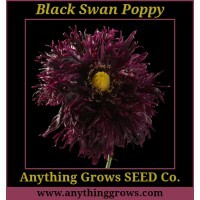 Silky scarlet petals form 3" diameter flowers with four large black markings in the center. Adds a vibrant splash of color to beds and borders! Flowers have long, wiry stems over light green, ferny foliage. 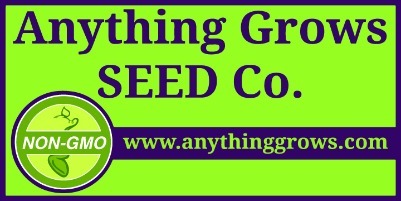 An abundant seed producer; may naturalize in mild climates. Scatter seeds and rake in lightly, then thin to 6" apart. Papaver rhoeas. Prefers poor soil. 2-3' tall. Re-seeding annual. Maturity 65 .. This is a very hard to find, rare seed! Breathtaking flowers with delicate poppy petals of bright Cambridge-blue surrounding golden anthers. Needs well-cultivated soil. ..
(Papaver paeoniflorum & laciniatum) Absolutely stunning 4 to 5 inch chalice-shaped flowers with satiny petals that glow in the most delicious shade of deep ruby-purple. 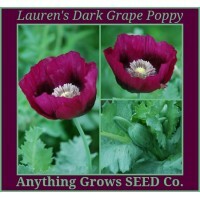 These outstanding, heirloom poppies grow 3 to 5 feet tall, depending on how rich your soil is. With their big, lettuce-like, blue-gray leaves and port wine colored flowers, Lauren’s Grape is a highlight of the spring garden. These beautiful flowers easily self sow to shine again every season. Approx. 1900 seeds/pack. M..